User permissions are an important piece to managing a team in HubSpot. Last year you received the ability to add special “HubSpot User” type properties for contacts, companies, deals and tickets to denote additional owners of those records. For example, a contact record may have a sales rep owner, and account manager owner, and a dedicated support rep owner. Each of these users needs access to the contact record, which wasn’t possible unless each of those users had access to view everything. In addition, the permission to view or edit all types of records in HubSpot were lumped together - you couldn’t set contact and company permissions separately to ticket or deal permissions. With this update, you can. For all properties that are type “HubSpot User”, the View, Edit and Communicate permissions will now take the values of the HubSpot User property into account. NOTE: the “Unassigned” permission option will continue to look only at the default HubSpot Owner property. 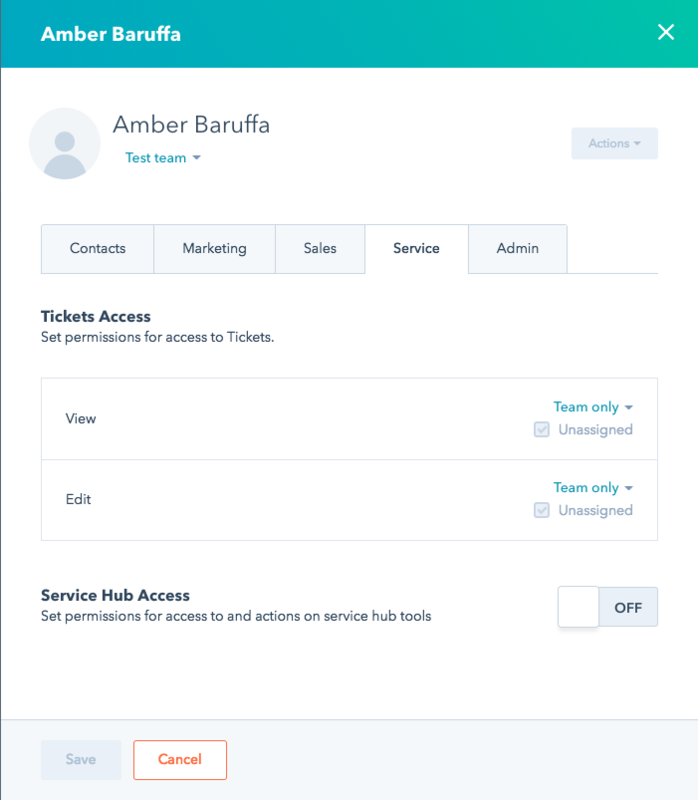 In user settings, admins can set the “View” and “Edit” permissions to specify “Everything”, “Team Only”, “Owned Only” or “None” (edit only) for deals and tickets under the Sales and Service tabs respectfully. This update is now live to all HubSpot users. Available in all languages supported by HubSpot.